On Sunday, December 16, from 3 pm until 7 pm, the club, in conjunction with Tennis Tasmania and our leaseholders, will be conducting a Festival of Tennis in the grounds of the club. The coaches will be on hand to promote the various programs they offer, such as Hot Hots and cardio tennis. Fyshe will have a bar set up near the hitting wall, and the club will provide a complimentary barbecue for all to enjoy. There will be give aways and prizes throughout the afternoon. Stringlab will be open, and Stewart will have his mobile workshop set up beside court 8 providing demos and ball machine demonstrations. You can also enjoy a casual social hit on the clay courts during the afternoon. Tennis Tasmania will be offering the chance to secure tickets for the 2019 Hobart International and special guest, Australia’s number one male tennis player, Alex de Minaur, will be on hand to sign autographs and be available for a photo opportunity. It’s less than a month until registrations close for Hobart Out Tennis Tournament 2019! so register now to not miss out (B singles already full)!  Hobart Out Tennis Tournament 2019 will be played on Sat 12 to Sun 13 Jan at Domain Tennis Centre, which is the same venue and weekend as Hobart International WTA tournament. Most importantly, every player gets a ticket to see Hobart International WTA finals on Sat 12 Jan from 12 noon before our tournament commences at 4 p.m. literally on an adjacent court! Entry is AUD $65 per player for the first event and $80 if you play 2 events. You can play a maximum of 1 singles and 1 doubles event, meaning you can either play singles only or doubles only or both. Registration can be done from this link and closes 1st January 2019 unless sold out prior! For new players, you will need to create a profile before registering for the tournament. If you played in the previous editions of the tournament, you would already have a profile and only need to log in before you can register. For more information, please feel free to visit our website hobartouttennis.weebly.com or contact us. Please feel free to spread the word to fellow tennis enthusiasts should they want to play in this fun, social yet still competitive tournament! If you are looking for a venue for a milestone birthday celebration, an engagement party or wedding, why not consider your own clubhouse? There is no hire fee for club members, we are licensed for 100 guests, and it is the perfect place entertain your friends and family. Chris Fyshe would be more than happy to be your host.